When visiting Plymouth today, the modern-day tourist will want to stop and see a number of important historical locations and museums. On the top of every visitor's list is (or should be) the Plimoth Plantation Museum and the Pilgrim Hall Museum. This page will focus on the other historical areas you can see while at Plymouth, starting off with the most famous, Plymouth Rock. Plymouth Rock is located underneath a portico on the waterfront in downtown Plymouth, a short distance from the anchorage of the reproduction Mayflower II. It is, by tradition, the rock that the Pilgrims first stepped onto as they came ashore at Plymouth. There are no primary source accounts of this, however: the tradition is based off the recollections of 95-year old Elder Faunce made about 1741 when Plymouth was planning to build a wharf over it. It was pulled out of its resting place to go on a patriotic tour in 1774 in the lead-up to the Revolutionary War, but broke in half during the removal process (hence the large crack). The year "1620" was carved into it in 1820 at the two hundredth anniversary. Leiden Street in Plymouth is the street upon which the original Pilgrim houses were constructed. The houses present today were mostly built during the 18th century upon the original plots that once belonged to the Pilgrims. Some of the plots have been identified and plaques on the houses inform you which passenger owned the plot of land upon which the current house now sits. 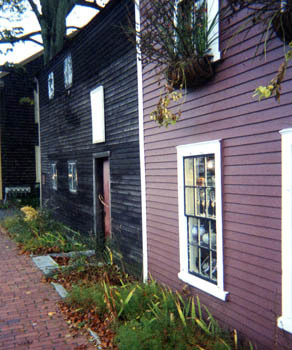 The street leads up from the waterfront to a church which sits just in front of the site where the Pilgrims' fort was located. Coles Hill, opposite Plymouth Rock and portico, looks like a simple grass hill, but this is actually the site where all the Pilgrims who died the first winter at Plymouth were buried. There are no grave markers here, but a small monument at the top of the hill contains the remains of some Pilgrim bones that have eroded out of the hillside in previous storms. Town Brooke runs through a waterfront park named Brewster Gardens into Plymouth Harbor. The backs of some of the houses on Leiden Street are visible in this picture. The Pilgrims would have walked down to the brooke with buckets to collect water for cooking and washing. They also caught fish there. The Jabez Howland house, built in 1667, is one of the oldest houses in Plymouth, and the only one still standing in Plymouth where Mayflower passengers (John and Elizabeth Howland) are known to have lived. 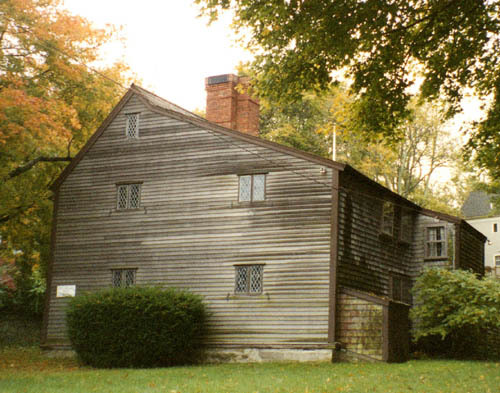 It is currently owned and operated by the Pilgrim John Howland Society, and is open for guided tours. The Richard Sparrow House, built in 1636, is the oldest house in Plymouth. 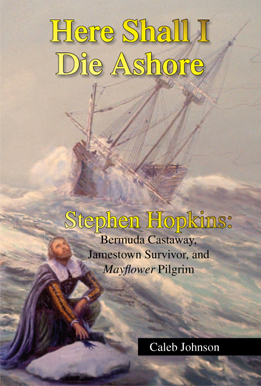 Although no Mayflower passenger ever lived there, Elizabeth the daughter of Mayflower passenger Stephen Hopkins did reside there for a time. Currently a portion of the house is a pottery gift shop and the other portion is open for a self-guided tour. 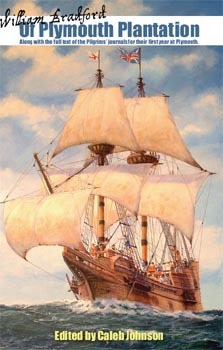 The Mayflower II is a full-scale reproduction of the Mayflower, owned and operated by the Plimoth Plantation Museum. 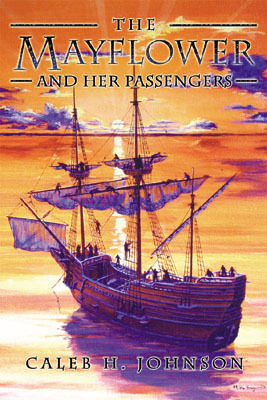 Onboard, costumed interpreters and modern-day guides provide details on the Pilgrims' life at sea and the workings of the ship. Next to the ship is a reproduction of the shallop, which was used to explore Cape Cod, to trade with more distant native groups, and to ferry people to and from the ship that was anchored further out in the harbor. Burial Hill was Plymouth's cemetery starting around the 1640s, and is where Governor William Bradford and a few other Mayflower passengers are buried. While original burial markers do not exist for any Mayflower passengers here, a few markers do date back to the late 17th century. Many Pilgrim families were buried in the same general location within the cemetery. The Howland family burial area (pictured) and the Bradford family burial area are fairly easy to spot and have modern markers present to provide additional detail. The cemetery also has a marker showing where the original Pilgrim fort was located.